Do you ever wonder why great things happen to some people but not to you? Do you ever read about people who have tried this or that product and had some incredible result, but when you try it,you don't get the same result? Have you become a person who NOTHING seems to work for? Maybe you've thought about trying some new self-improvement package that sounds great, but you're just so tired of things not working for you. Let's take a look at how you've gotten where you are and why these things might happen. First, at some point, you tried something - either based on a recommendation, a testimonial you read, or some other reason. Basically, you tried it based on someone else's positive experience. However, when you tried it, you did not get the same result so you made the assumption that it didn't work for you. But how true IS this? Often - VERY often - things work differently for different people, and it's a mistake to judge your life by comparing it with others. Perhaps you just needed more time. Maybe your circumstances are completely different! Regardless, however,you made up - you CREATED a Truth for yourself at that time,that truth being "This didn't work", although remember, that truth is based only on your surface comparison with someone else...and it really doesn't have anything to do with you,and what - in the cosmic scheme of things - is best for you.Those results you read about for that other person are what was right at that time for them, and that doesn't necessarily mean that NOW is the time for you and that it will happen to you the same way that it happened for them! From then on, every thing else you try is then compared to that first experience, with the Truth in your mind being"Well, it didn't work that time...let's see if THIS works".So again you're comparing...and not really trying anything"purely" and on it's own merit without preconceived notions or judgments. You are already working against yourself! You may not yet automatically expect failure, but you have it as an option, and perhaps even a probability based on your previous experiences. The more things you try with this mindset, the more you fortify this mindset - it becomes a self-fulfilling prophecy that "Nothing works for me". Before you know it, that is who you Become. The person you are about, reaching your specific goals or trying this or that product or technology is, "It works for others but never for me." Once you reach that place, it will most certainly become true for you. So what do you do? How do you break out of this pattern?First, acknowledge how you got here...by comparing yourself or your results with other people who are really on a completely different path then you, although they may have been after similar results. Then create a new idea for yourself - give yourself permission to experience success on your own terms, without judging what happens based on other people or expectations set up by anyone other than yourself. Once you believe that you deserve to succeed and that you CAN succeed and that you WILL succeed, your life will change. Whatever you try will work for you, because YOU define what "working" is - not somebody else! You set your own timetable, you are relaxed, and non-judgmental. Your infinite patience and lack of expectation based Externally,will work with you in very powerful ways and you will regain control over your destiny. 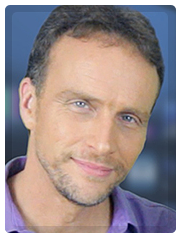 Bob Doyle is the CEO and founder of Boundless Living and the developer of the Wealth Beyond Reason and Six Figure Streams programs, which provide a continuing education of the physics of wealth, abundance, and joyous living through the Law of Attraction.